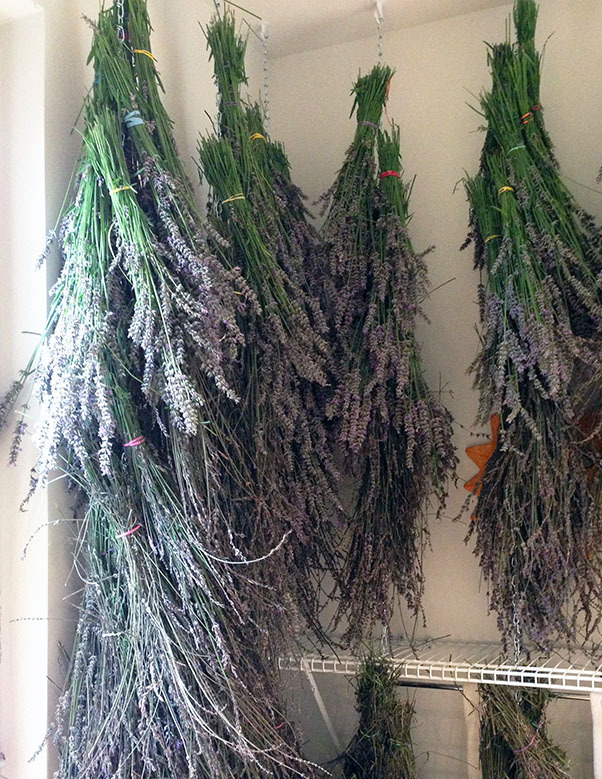 I got a late start on harvesting my lavender this summer. I did that on purpose. 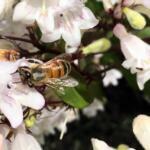 I wanted to leave the flowers as long as possible for the bees. If last year was an effective indicator, we should have another harvest in fall, and I’ll make sure that I harvest these on time. On time is at a point where only the first few rows of flowers are blooming. 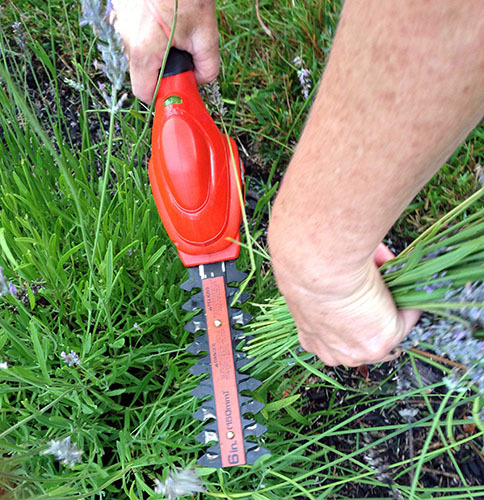 Here are a few tips on best approaches to harvesting lavender. Harvest before sunrise, during the season you expect new growth if you don’t cut the spikes too close to the plant. The final harvest of the year, cut spikes close to the plant shaping plants in mounds to get ready for the winter. Cut in bunches, to make it easier for tying and drying. Cut, bunch and tie all at the same time. It will save time. Wrap in bunches using a thick rubberband. Thin rubberbands break. Create a “drying rack” by installing hooks in the ceiling of a cool, dry, dark room. Attach a single row of chain link from the ceiling hooks to create the drying rack. 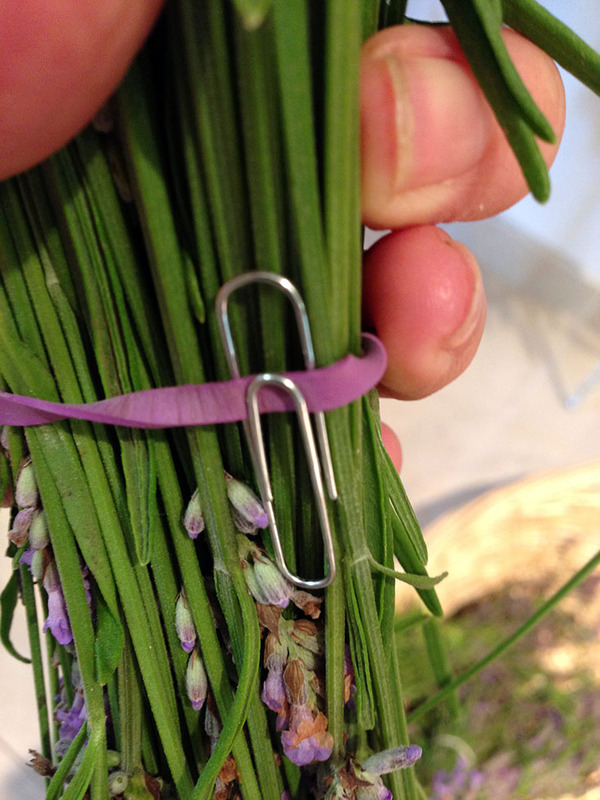 Insert a paper clip under the rubber band as use paper clip as a hook for the lavender. Hang lavender upside down in a cool, dry, dark place and let dry for 2-3 weeks. 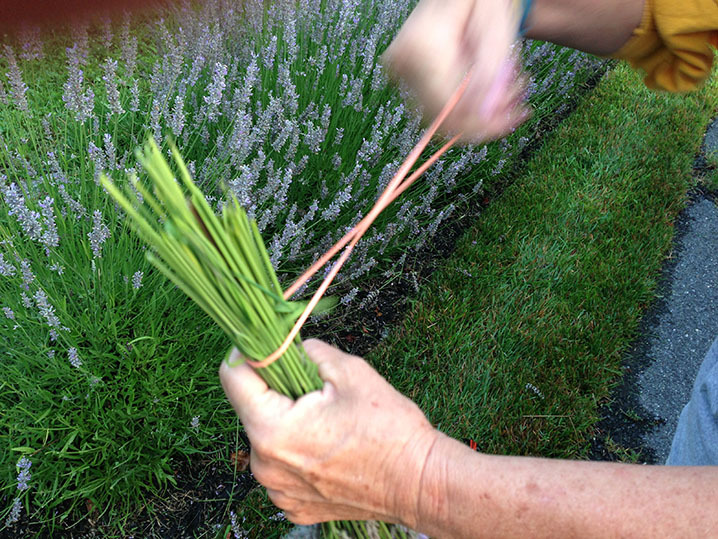 Remove flowers by rubbing lavender bunches as if you are trying to start a fire with them. Collect flowers and store in an airtight container. Store in cool dry dark area. Previous post: Lavender, the Little Flowers that Pack a Punch. oh so French , how great to have this here locally,would love to be involved sometime soon! Very informative , never knew how it was done just remember seeing fields of lavender in Southern France. So far this is how I do it. It’s lovely but very labor intense. Perhaps one day some equipment and some more hands will help move it along a little better! Thanks for the comments! I’d like to know where you purchased the plants of lavender. I cannot find it locally nor does it grow well when I do….how do you do it???? Hi Sharlene, Thanks for writing! Whenever I’ve tried to grow them from seed it’s been a real disaster. 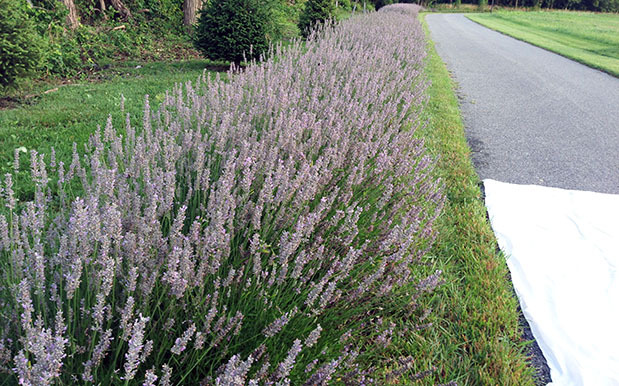 When I did a small patch of lavender I bought my plants from a grower out of Davidsonville, Homestead Gardens. They have beautiful plant material. We plant thousands of plants so we buy from a grower that grows them specifically for us. I hope this helps.